I’m currently working on “Criminal Kind,” the third book in the Charlie McClung Mysteries series. My characters appear when I begin to plot my manuscript. I know what kind of person they are but sometimes they surprise me and morph into totally different people. My mind is a deep and dark place. Marian Selby, one of the main protagonists, has a few of my traits, but all of my characters are based on bits and pieces of people I know. My characters are like children. I know how I want them to be like, but they develop a mind of their own and do whatever they want to do. I just follow along and write whatever they tell me to write. A bit of both. I know the beginning, a few bits in the middle, and the ending. I just let the voices in my head lead me. I have a three ring binder with loose leaf paper and dividers for each manuscript. I have a page for each character, a page for the setting, and pages for each chapter. I’ll add pages as the story grows. No, pretty much in a rut for now. I don’t look for it but music, especially Tom Petty, gives me wonderful ideas. What kind of an environment do you write in? Day/night/silence/music/desk/sofa etc. One of my spare bedrooms has been converted into my library. I have a big comfy chair and foot stool next to a window where I sit during the day and write. Sometimes I listen to mood music which varies on my mood, could be classical, movie soundtrack, new age, whatever floats my boat at the time. Hmm, hard question to answer. I thought I’d write a book and that would be it. Oh, no, there’s marketing which is harder than writing a book. Beware of marketing. There is no easy answer to how to best market your book. I think there will always be a love for the written word but gadgets have definitely changed how people read. People read on the go and it’s easier to carry a Kindle or phone with you than a physical book. And audio books are beginning to become more and more popular. I think there’s a place for both. Some people love the literary stuff, others love fluff and everything in between. I’d love for my books to be mainstream. My bible first and then what next, oh gosh, so many books that I love! I love Agatha Christie, Anne Perry, Caroline Graham, Gretchen Archer, Elizabeth Peters, Sir Arthur Conan Doyle, Jean M. Auel, Terry Brooks, and the list goes on. Please don’t make me choose. 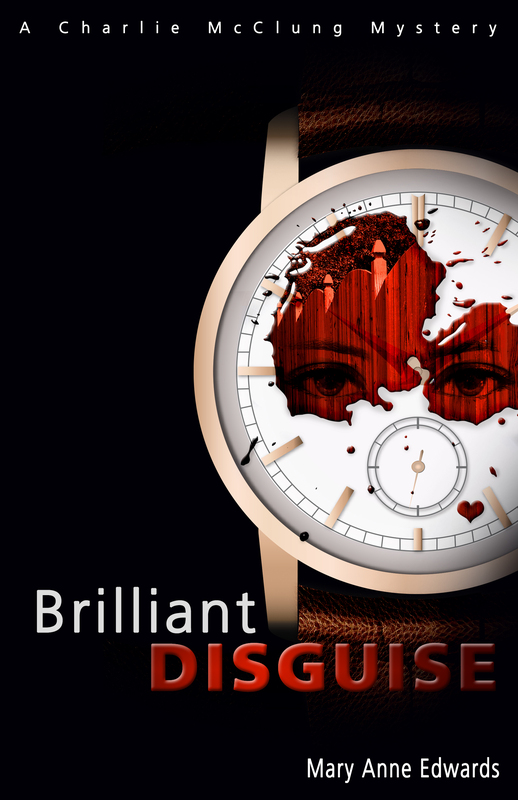 I went the self-publishing route which was a huge surprise to me. After speaking with several traditionally published authors, I decided to go that route. The main reason is control of my work. But I may consider the traditional route one day. What do you wish you knew about the publishing process before you started? The marketing side of publishing. Don’t compare yourself to any other author. Don’t let bad reviews get to you. If a bad review has merit, like poor editing, then learn from it, if not, sweep out the door and forget about it. Books are like vegetables, some people love broccoli, others hate it. I guess, I’m a one trick pony. Writing is the only creative ability that I have. Well, not unless you consider baking, which I love, and you’ll find it in my books. A successful business owner. I’d like to own a coffee shop/bookstore. I’ve always loved to write but when my husband and I became involved with drama at church, we wrote all of our own skits and did all the acting. We were well received. I thought, what the heck, I should publish some of my short stories. And magazines actually paid me money for my stories. 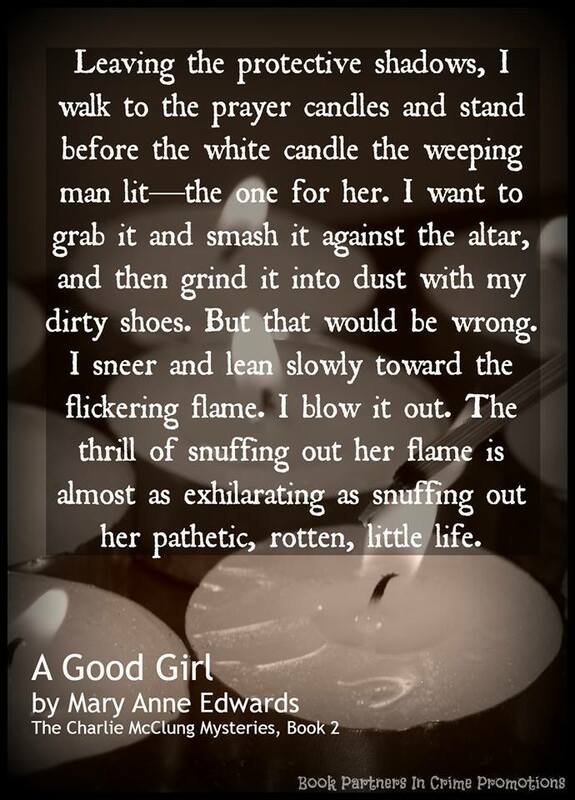 That little spark created a flame, a desire to write, and with the encouragement of my husband, I began to write novels. What authors do you admire, and why? So many that I admire but I’ll pick one. Agatha Christie because she wrote such wonderful stories and characters. Mary Anne has been married for nearly 35 years to the most practically perfect man. They have a newly adopted Tuxedo cat named Gertrude. They enjoy traveling and watching mysteries on TV. 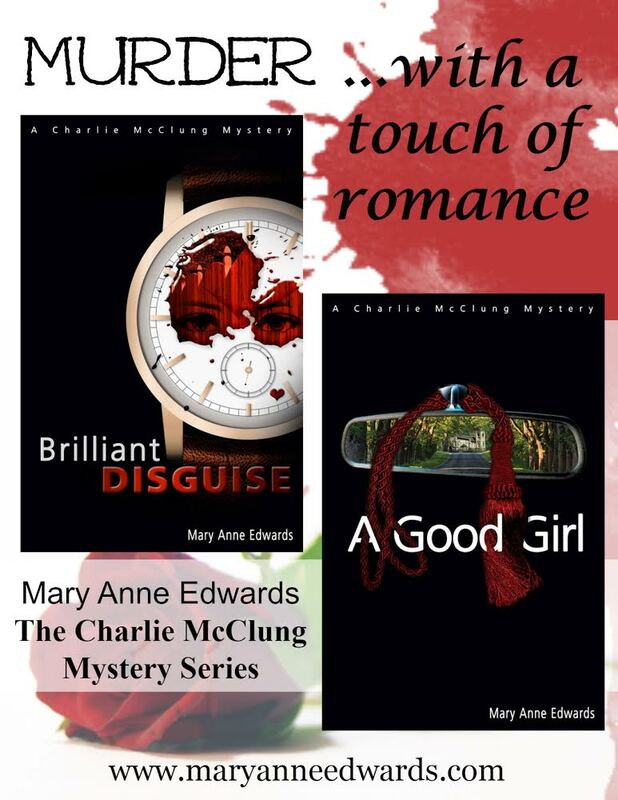 Mary Anne is active in Sisters in Crime Atlanta Chapter, Mystery Writers of America, and sits on the advisory board of Rockdale Cares, Inc., a non-profit advocacy group for the developmentally challenged. 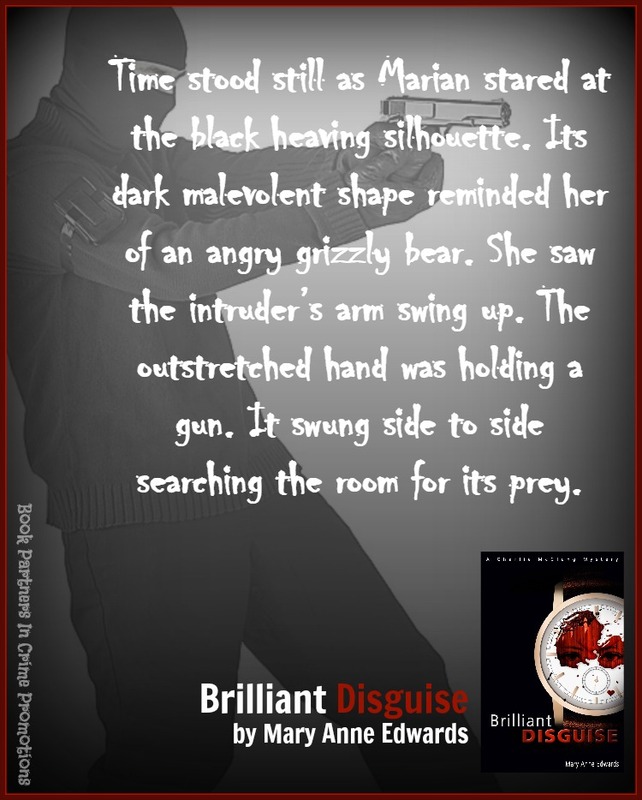 Her first book in the Detective Charlie McClung mysteries, “Brilliant Disguise” was released on January 21, 2014. 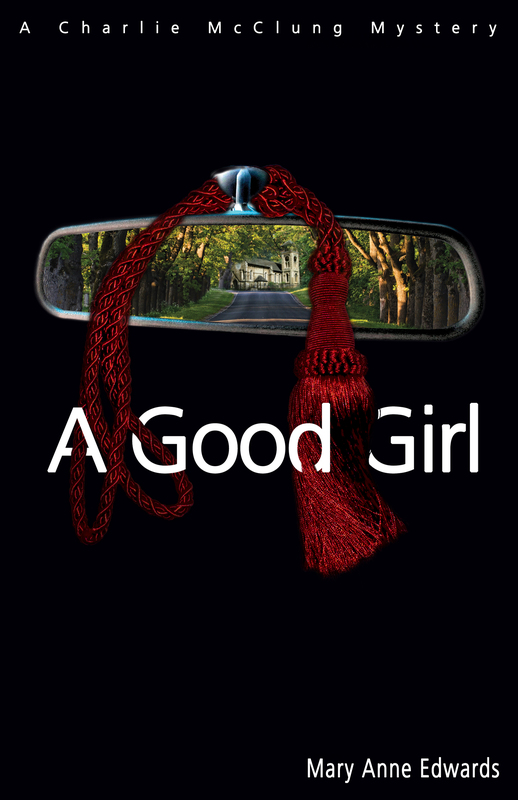 The next book in the series, “A Good Girl”, was released on September 23, 2014. 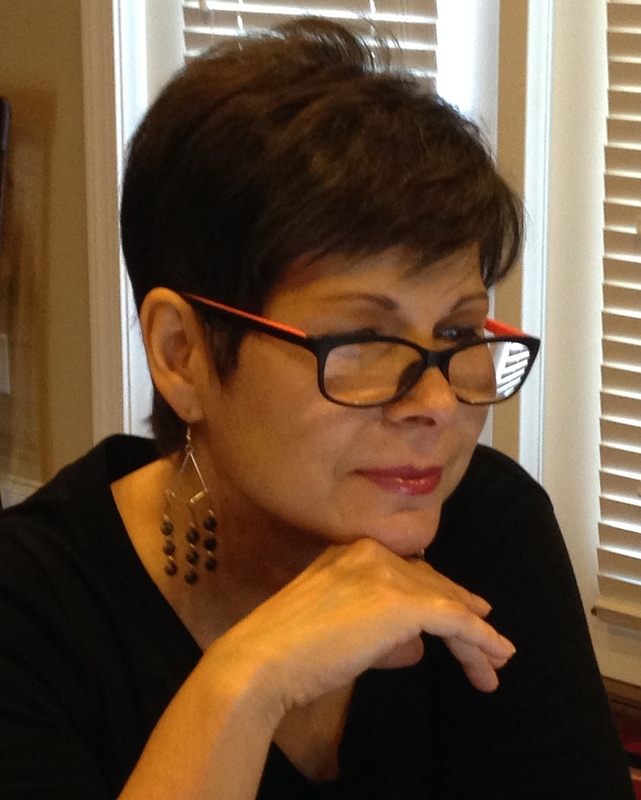 Mary Anne is currently working on the third book, “Criminal Kind”; there are seven more to follow. I think Mary Ann’s best advice is probably the best advice. There are all kinds of readers out there. We need all kinds of writers to meet their needs. Thanks for sharing Sacha. There are always so great tips to glean from your interviews! Like using a three-ring binder. I am learning to use Scrivener as a three-ring binder now – I don’t do much without technology. It’s lovely to find some who still do! Maybe that’s an aspect of our different types of writing. Thanks Norah, and I know right – it was like the perfect way to learn quickly about the writing process and all the different ways you could do something. I love these interviews, they are almost at an end, don’t know what I will do without them! Thank you, Sacha, for having me today. You’re the best! Don’t be silly, thank you for being such a great guest. Sacha, a wonderful review, as always. Mary Anne’s response to “What is the best advice you could give to aspiring novelists like me? Or what was the best advice you were ever given?” Her response, “Books are like vegetables, some people love broccoli, others hate it.” is awesome.